I often have lots of projects on the needles, but four shawls, a coat, and a series of swatches is a little much, even for me. It presents a bit of a dilemma. Do you work a little bit on all of them, but not really see a huge amount of progress? Do you focus on one of them, and neglect the others? Do you come up with a “knitting schedule”? I’ve been trying to give a little bit of attention to each project, but some have ended up neglected. The oldest work in progress on the needles still hasn’t come out of it’s project bag, and the swatches haven’t been touched. The coat got an evening of attention, and I attached the last ball of yarn for this piece, but it still looks like a big grey blob. 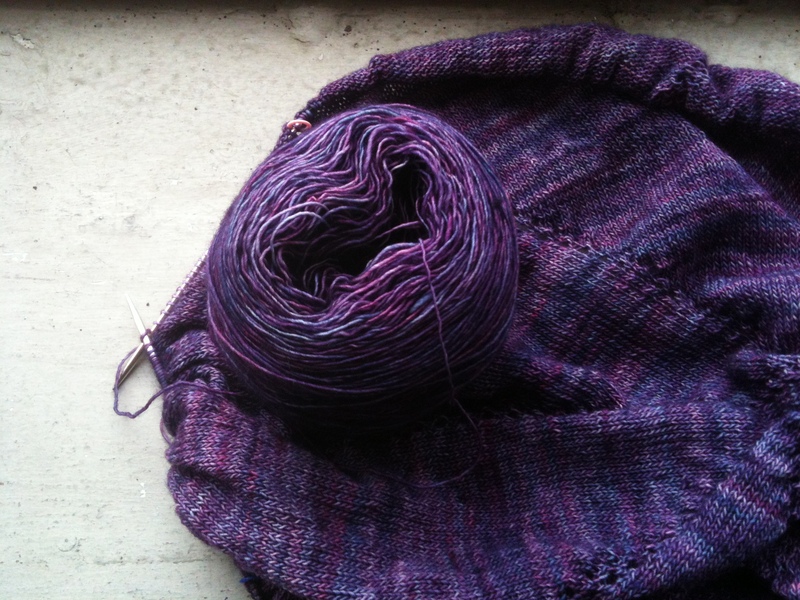 The golden shawl has spent the week perched on my desk receiving bits and pieces of attention, while the purple shawl has seen lots of attention, but is at the point where you can only measure progress by the diminishing ball of yarn. 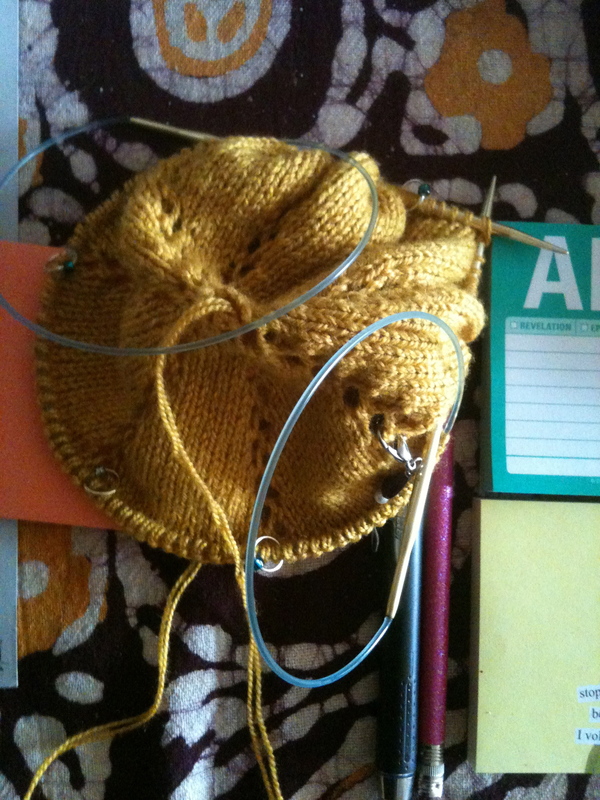 I did a quick review of the yarn I’m using in the gold shawl Monday. Maybe the best balance for projects is a sort of balanced unbalance? 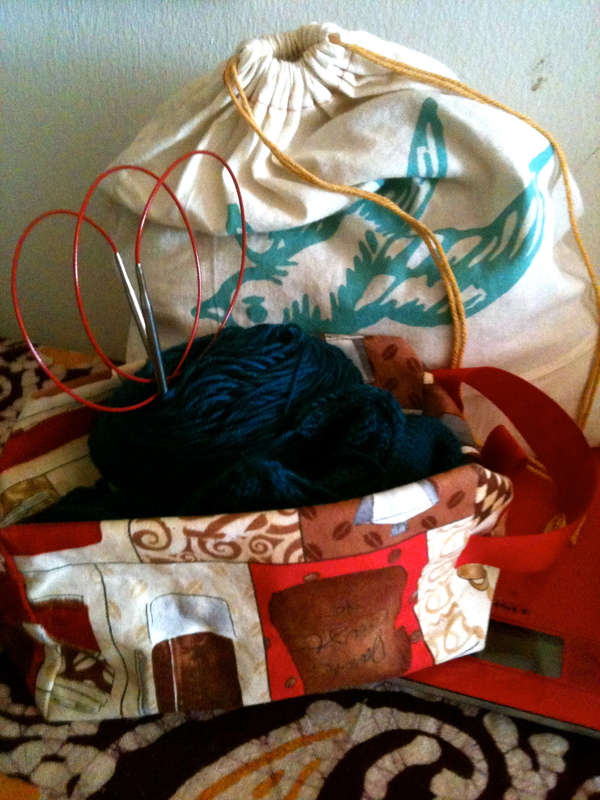 This was part of Tami’s WIP Wednesday project. 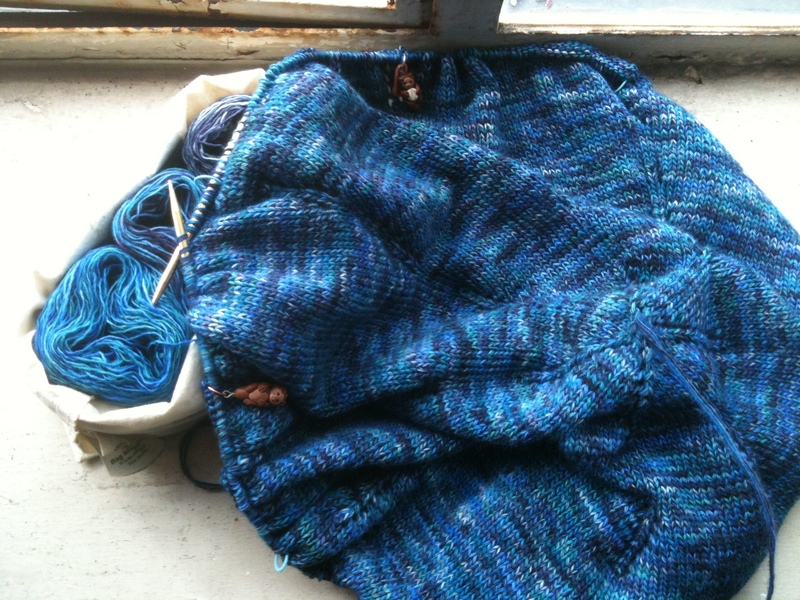 If you’d like more WIP Wednesday posts, from other bloggers, visit Tami’s blog. I almost always have a ton of WIPs. 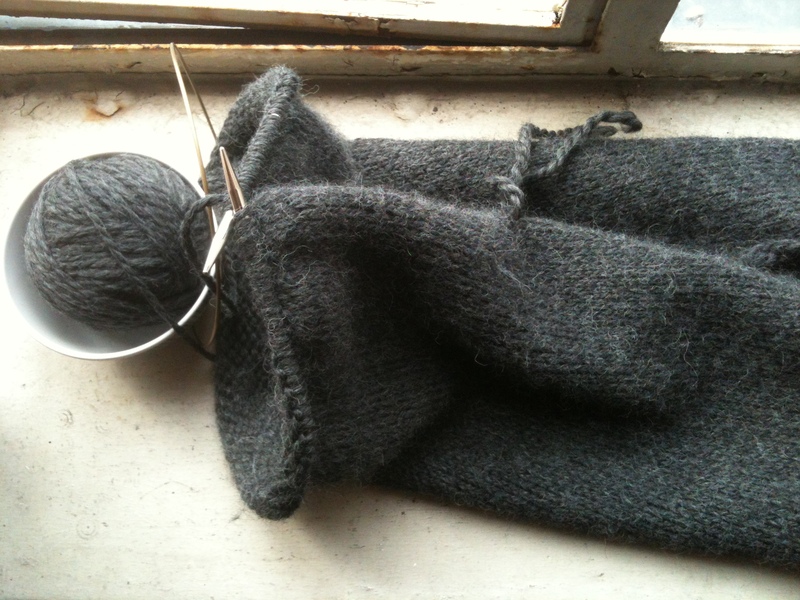 The ones I work on most depend on my schedule: easy projects if I’m really busy or traveling a lot, more complicated projects if I have a bunch of concentrated TV knitting time. Or I work on the ones with the soonest deadlines, it all depends! Yea, I agree, it all depends on a whole bunch of factors.